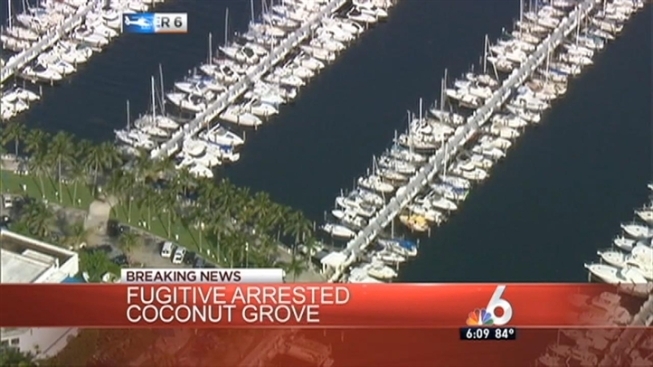 Officials said Robert Van Gundy was on a boat at the Dinner Key Marina in Miami. A fugitive wanted on sexual assault charges out of Arizona was arrested in Miami-Dade, according to officials. Robert Van Gundy, 29, was arrested at about 4 p.m. Wednesday by the U.S. Marshals Service, Miami-Dade Sexual Predators and Offenders Unit with the assistance of Miami Police, Marshals Service spokesman Barry Golden said. Records show Van Gundy was charged with 19 counts of sexual conduct with two male victims under the age of 18 between 2008 and 2009. Golden said he fled Arizona after failing to show up for a court hearing. A warrant for his arrest was issued on Aug. 14. A murder suspect fugitive from Puerto Rico was taken into custody overnight after a chase that ended with him being found in a pool bathroom at a home in North Bay Village, police said. North Bay Village Police Lt. Jim McCready discussed the case, while the man living at the home where Jesus Rodriguez Velez attempted to hide described his surprise in Spanish about the moment when police came rushing through the yard. 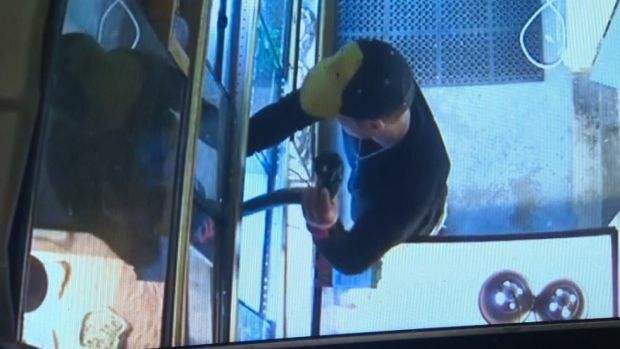 "This is an individual who basically traveled 3000 miles all the way across the United States and now he's here in Florida on a sail boat with a cache of weapons and ammunition, and he was trying to get out of Florida to flee to the Bahamas," Golden said. Officials received a tip a week ago saying Van Gundy was on a boat at the Dinner Key Marina in Miami, and that he may have had weapons and ammunition on board, Golden said. Officials say he had been staying at the Chesapeake Motel in Hialeah, and making periodic trips to the boat every day. Van Gundy is known to be anti-government and had told family members that he would not be taken down alive, according to Golden. Authorities staked out Pier 4 at the marina all day Wednesday until he arrived at the boat with wife Arielle Van Gundy. She was arrested at the same time because officials say she was carrying a weapon inside a dog purse and didn't have a concealed weapons permit in the state of Florida. Robert Van Gundy will be taken back to Arizona to face his charges. Arielle Van Gundy was charged with carrying a concealed firearm and was being held in Miami-Dade on $5,000 bond early Thursday, jail records showed. Multiple dogs that were with the couple were picked up by Miami-Dade Animal Services.